Creation of a transportation-in-a-tube system that promises to whisk passengers from Houston to Dallas in 30 minutes got a big boost March 12 from the federal government. During an appearance at SXSW, U.S. Transportation Secretary Elaine Chao said she has established a transportation technology council that will aim to clear regulatory and legal roadblocks for the traffic-busting Virgin Hyperloop One concept and similar transit innovations. In September 2017, the company behind Hyperloop One picked a 640-mile route in Texas for the initiative. The futuristic system — with passengers riding in pods carried through a massive tube — would connect Houston, Austin, Dallas-Fort Worth, Laredo, and San Antonio. Hyperloop One would provide two stops each in the Dallas-Fort Worth and Houston areas, and one each in Austin, Laredo, and San Antonio. The north-south leg of Hyperloop One would run between Dallas-Fort Worth and Laredo, while the east-west leg would operate between Houston and San Antonio. As imagined now, a trip between Austin and Dallas would last 19 minutes at speeds up to 670 mph — two to three times faster than high-speed rail and 10 to 15 times faster than traditional rail. A ride from Houston to Austin would take 21 minutes, while a trek from Houston to San Antonio would last 26 minutes. 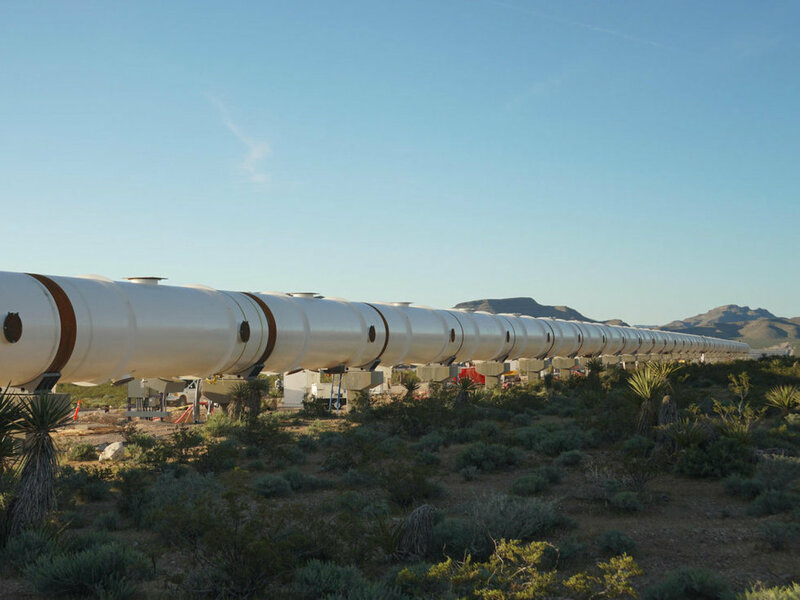 "Texas is exploring how to make hyperloop a reality at the state and local level, but federal support is a huge key for us to be certified and successful," Ryan Kelly, head of marketing and communications for Virgin Hyperloop One, tells CultureMap. "It is exciting that the federal government is recognizing us as a potential new mode of transportation that can be a leap forward for America. Hopefully, Texas can be a first mover." Aside from Texas, Virgin Hyperloop One has U.S. projects underway in Colorado, Missouri, and the Chicago-Columbus-Pittsburgh corridor. Virgin Group, led by Sir Richard Branson, is among the investors in Hyperloop One. The federal council unveiled at SXSW will help fast-track a first-of-its-kind transportation network in the U.S. that shares components with trains, planes, and self-driving vehicles. Members of the council will explore technological innovations, such as transit tunnels and self-driving vehicles, in the quest to speed up development of Virgin Hyperloop One and other emerging modes of mass transportation. "Hyperloop is a new mode of transportation that is built for the 21st century," Jay Walder, CEO of Virgin Hyperloop One, says in a release. "We want to be the company that spearheads the next giant leap forward in transportation here in the United States, but we know we can't do it alone." Kelly says it's unclear when Texas passengers might be able to travel on Virgin Hyperloop One's network, but the company hopes the first route — wherever it may be — will be ready by the end of 2028. Editor's note: This week's trending stories were pretty people centric with the innovators to know from Monday and two new hires at major innovation institutions. Plus, we got an update about the potential hyperloop system and The Cannon scored a fund partnership. A good innovator sees a need and fills it. 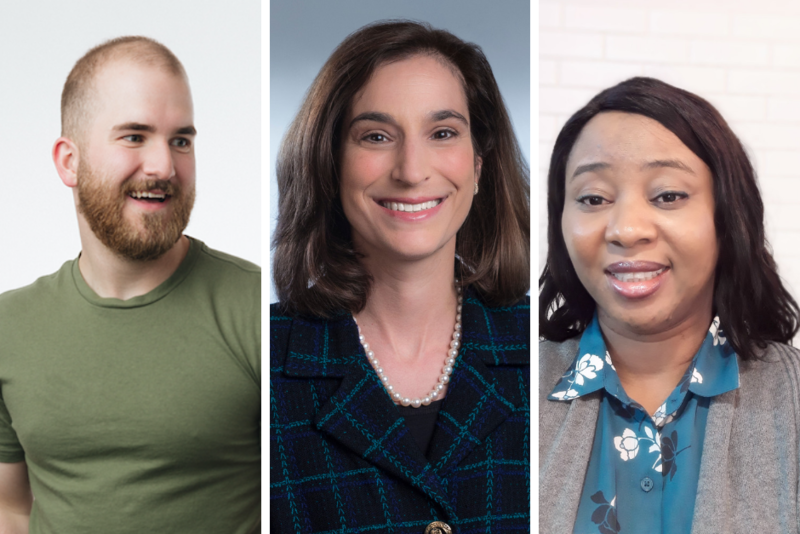 Whether it's a bigger budget for new hospital technology, a network for female software developers in Houston, or access to creatives for nonprofits, these three Houston innovators are responsible for filling the needs of Houston's innovation ecosystem. Click here to read the full story. The Texas Medical Center didn't have to go very far to find its new Innovation Institute director. 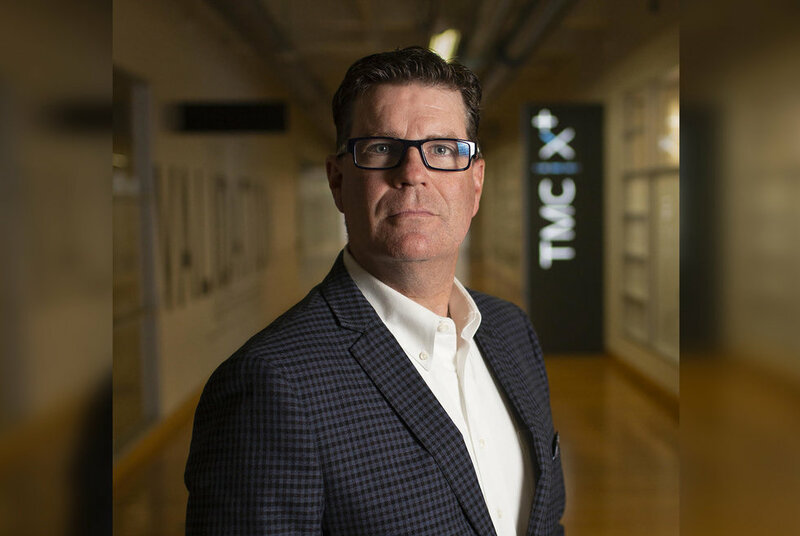 Tom Luby, who most recently served as the site head for Johnson & Johnson Innovation's JLABS @ TMC, has been hired for the position. Luby replaces Erik Halvorsen, who left abruptly in December. Click here to read the full story. A downtown Houston startup acceleration hub has created a new position focused on expanding the nonprofit's partnerships, engagement, and opportunities. 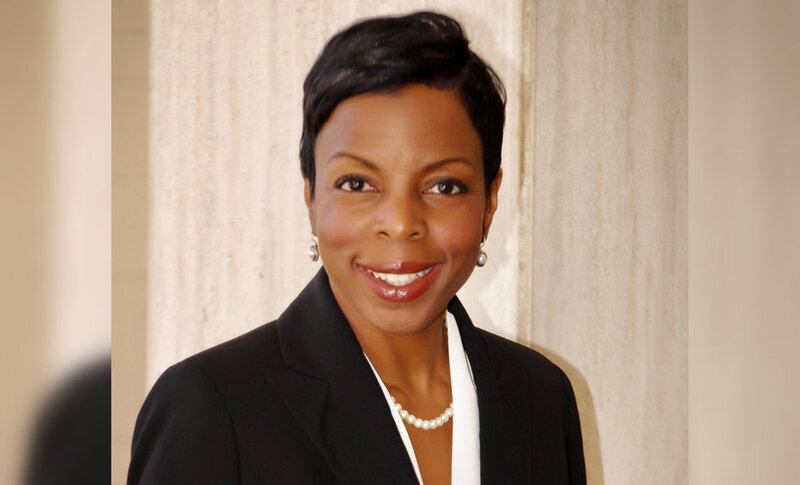 Station Houston hired Deanea LeFlore as director of community engagement, partnerships, and education. Previously, LeFlore served as chief of protocol for the city of Houston and a vice president of the Greater Houston Convention and Visitors Bureau. Click here to read the full story. 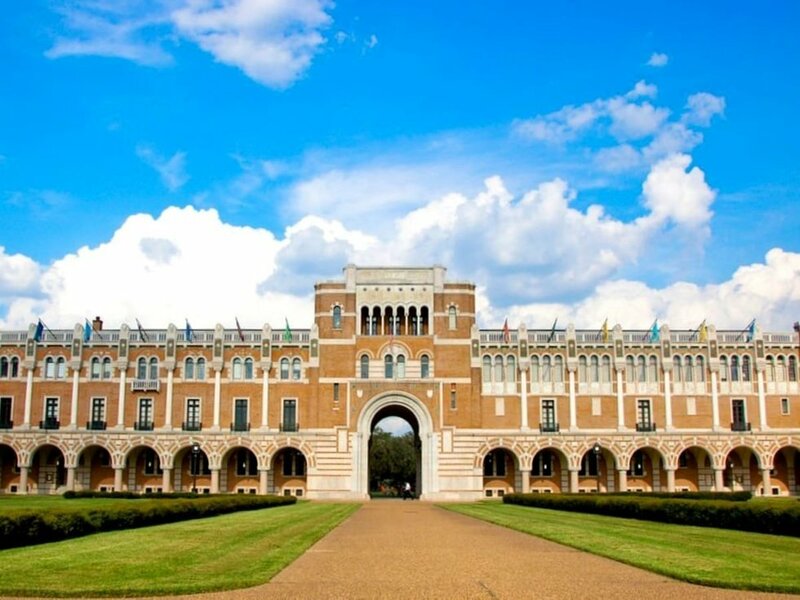 In an effort to better connect Houston entrepreneurs with angel funds, the Rice Angel Network and Cannon Ventures have formed a new partnership. RAN will now be powered by Cannon Ventures, the investment arm of The Cannon, a West Houston coworking space. Click here to read the full story. Creation of a transportation-in-a-tube system that promises to whisk passengers from Houston to Dallas in 30 minutes got a big boost March 12 from the federal government. During an appearance at SXSW, U.S. Transportation Secretary Elaine Chao said she has established a transportation technology council that will aim to clear regulatory and legal roadblocks for the traffic-busting Virgin Hyperloop One concept and similar transit innovations. Click here to read the full story.